Your 1st choice beer distributor for domestic, craft, micro-brews, & slushies! Don't forget our famous roasted peanuts, too! Come to West Lawn Beverage for single bottles, 6 packs, 12 packs, mix & match 6 packs, cases, and kegs of beer. Over 10,000 cases & kegs of domestics, imported, micro & craft beers. ​35 doors of cold beer, too! NEW: enjoy select flavors of Mike's Harder and Seagrams Escapes in a SLUSHIE! With more than 400 selections to choose from, we have you covered! And, if you aren't sure where to start, try mixing & matching singles or one of the many variety packs. 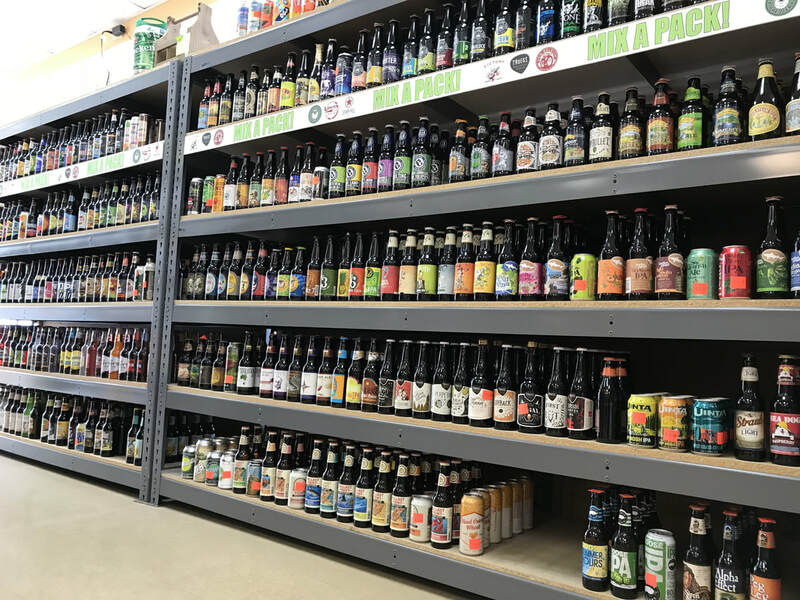 ​We stock seasonal selections as well as local, regional, and craft brews. We have you covered from ice & kegerators to fresh roasted peanuts and party snacks. Not sure how much you need? We can help! ​We also offer a variety of non-alcoholic beverages! We are dedicated to providing our customers with the ultimate beer buying experience! Created by Alexa Derr. Powered by Weebly. Copyright West Lawn Beverage and Derr Enterprises. 2018.